Are you ready to upgrade your Chicago commute? 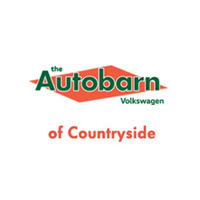 Once you’ve browsed through our new and pre-owned Volkswagen vehicles online, come down to Countryside to see the vehicle you want to test drive. From our fan-favorite VW Jetta sedans to the formidable Atlas SUV, there’s something for everyone in our available inventory. When you’ve found the right ride that’ll elevate your LaGrange drive, look through our rotating monthly incentives. Our team is standing by to help you through your new car buying journey. When you’ve checked on all we have to offer and have found the next Volkswagen you want to explore, contact us or come down to our Countryside dealership. We’d love to help you find the next vehicle you’ll fall in love with, and want to make sure you’re able to find savings along with it.